very now and then there’s an occasion where you need to throw a party and there’s no escaping it. From birthday parties to backyard barbeques, parties are indeed inevitable. And organizing one can take quiet a toll with all the planning and preparation that needs to be done. 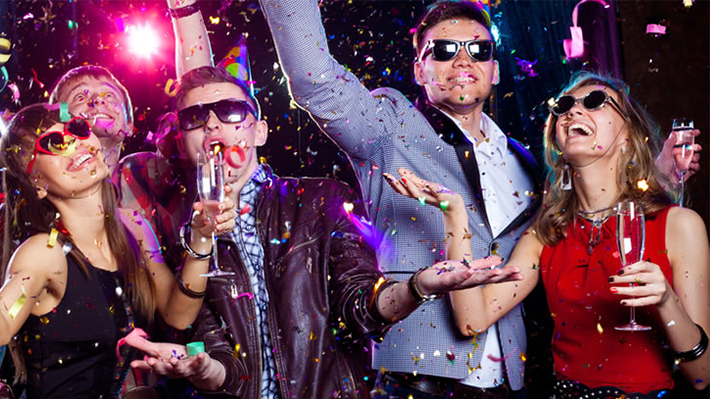 If you are a serial party organizer, here’s a life saver for you – a handy list of tips and tricks that will help you save time, get organized and carry out your parties in ease and style. If you end up running errands at the last minute your party won’t be as much fun. Have your checklist ready with to-do items mentioned in the order of priority. There are plenty of apps, both paid and free available that can help you with pre-designed and customized checklists. Whether it is buying stuff for the party or marinating food or chilling wine, everything can be on the checklist. If the party you are planning is not as formal as a wedding or a party for some really special occasion, it is totally okay to send out digital invites on email or smart phone instant messenger. You are can skip making a dozen phone calls. Just be sure if you have sent out group invites, you send out personalized invites also. A group invite is very impersonal and would mostly mean nothing to anyone. Get all your party requirements delivered at home be it disposable cups or ready-to-eat snacks. Trust us this will save you the most time. GeoQpons.com will not only help you get the best party stuff delivered to your doorstep but you can do it at great discounts too. A buffet spread might sound like a lot of work but it is any given day better than serving each guest individually. Have salads, finger food, munchies and overall a simple menu so that the variety of foods is not compromised. Because you want to enjoy the party and not end up all tired at the end of all that work. Work like the table center, party décor or even catering, outsource anything and everything you can and enjoy the party in style.